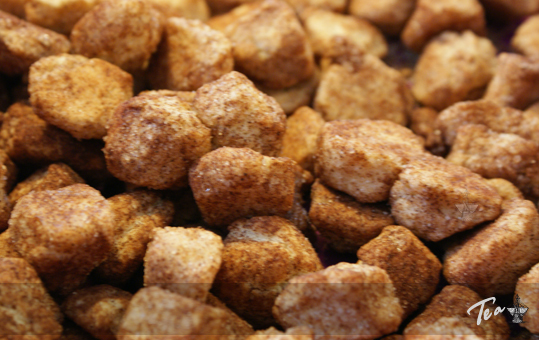 Cinnamon cookies are good for breakfast with the cup of coffee. Mix all ingredients. Make small cookies and at the middle you can put a walnut. Bake it for about 10 minutes in 350ºF (180ºC).